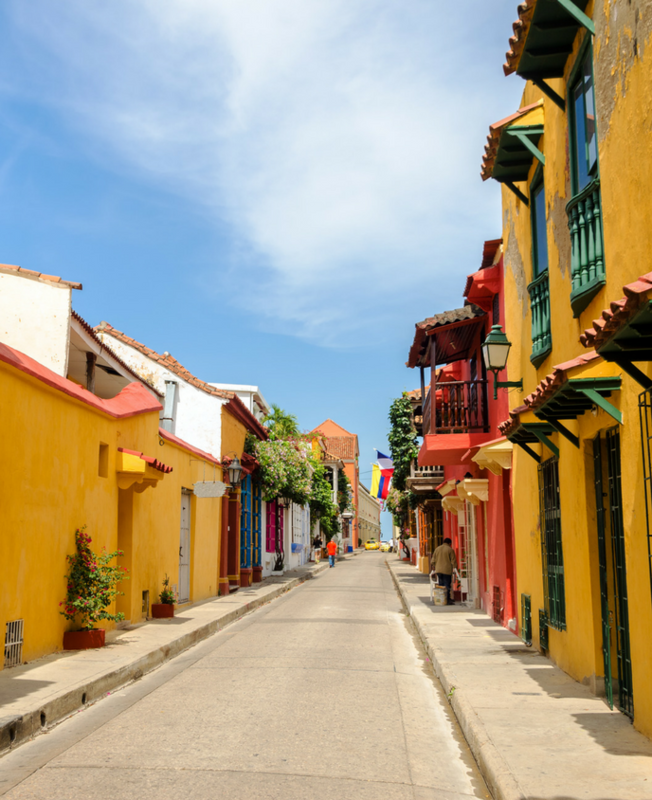 From the colourful streets of Bogota to the colonial horse-carriage ride of Cartagena, Colombia is a real feast for the senses. Head out to the Salt Cathedral of Zipaquirá – built inside a salt mine, it boasts of having the largest Holy Cross made of salt. Visit Gold Museum that is adorned with 32,000 pieces of gold and 20,000 stones, all ancient and precious. This country is truly the seat of magic realism and our trip is curated to give you a glimpse of just that! From the dense forests of Amazon to mysterious and multicoloured river of Cano Cristales, Colombia leaves you awe-inspired at every bend. Top it all up with a shot of intense Colombian coffee.&. Located in the North of Bogota, about 1.5 hrs from the main city, Salt Cathedral is a true achievement of engineering. While visiting the cathedral in a tunnel that passes the fourteen Stations of the Cross and continues on to the dome. Get awed by the enormous cross carved into the saline rock, the largest cross made from salt in the world. Catch the mirror effect of the water where it is possible to experience the amazing visual effects of water on carved saline rock. The Gold Museum is considered one of the most important museums of its type internationally and it has been operating since 1939. It has a permanent exhibition of some 32,000 pieces of gold, 20,000 stones, ceramics and textiles all precious to the Quimbaya, Calima, Tayrona, Sinú, Muisca, Tolima, Tumaco and Magdalena cultures. 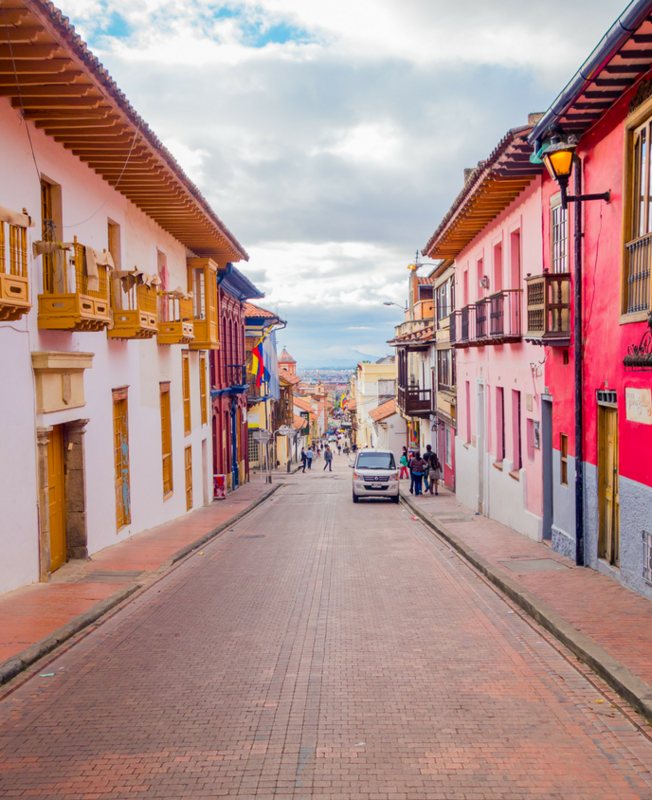 Bogotá’s got a great variety of colourful graffiti, murals and street art on its walls that can be found in the historical centre, La Candelaria. These graffiti have gained an artistic, social and political form of expression of the city inhabitants. Understand the famous humid Colombian coffee - its preparation, toasting, the characteristics of quality and its properties. 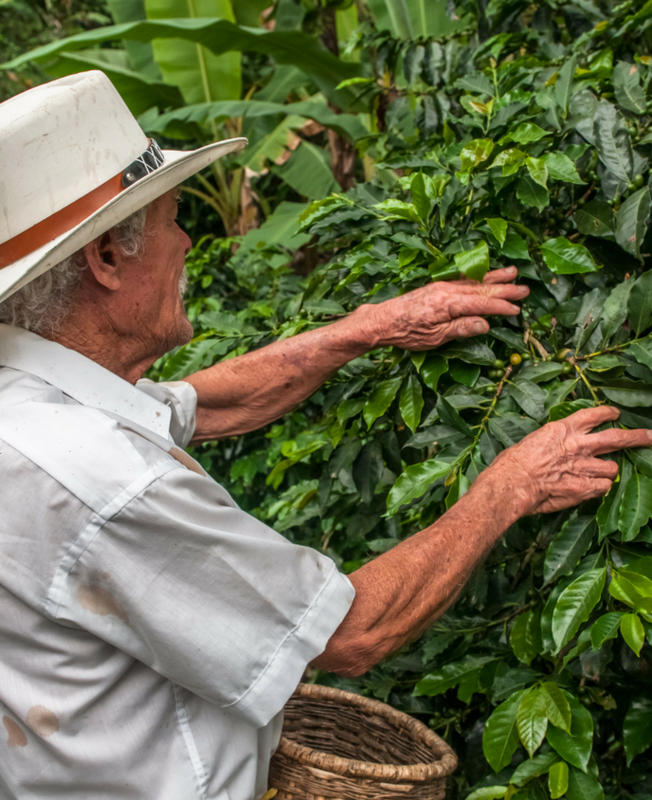 Top it all off with a plantation tour in the scenic locale of Hacienda San Alberto, a coffee estate situated in the volcanic terrain along the Central Andes Mountain Range - a UNESCO world heritage site. 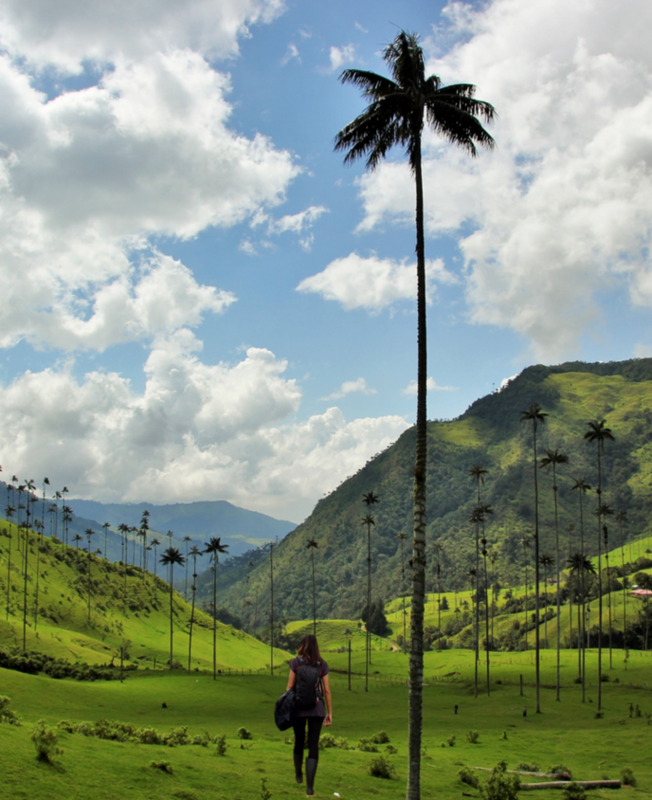 Valle de Cocora, the ideal place to marvel at the “Quindian wax palm”, the national tree of Colombia. Hike into the cloud forest to enjoy the biodiversity of flora and fauna and learn why the indigenous people here worshipped this mythical tree. Take a magical evening tour of the Walled City of Cartagena, stepping back in time and enjoying the sights from an open horse drawn carriage. The sound of the horse’s hooves, the feel of the refreshing breeze, the night time colors of the city, the architecture and the generally beautiful and atmospheric scenery makes the visitor feel as if he or she is part of a film. Local market tour coupled with a cooking lesson. Traditional dishes, quaint little shops, fresh produce and a cooking class in the backyard of the house of one of the cooks - you will get a unique taste of this land's culture. Introduction to Tayrona civilisation - currently only one family survives. Join us for a hike with a spectacular view in Pueblito. The tropical flora and eerie silence seem appropriate to the setting here amongst the ruins of terraces, homes, bridges, stairways and architectural achievements all of which are silent witness to the Tayrona civilization. Andres Carne de Res restaurant and night club captures the best of Colombian traditional food and serves it with one of the best party time in town. Colombian cuisines accompanied by special shows and music gigs, this will surely make it the best experience in the city. Half day buying emeralds: The owners of the Hotel Casa Deco have been working on the Emerald business for more than 25 years and are very professional and dedicated. Here they not only show the stones to interested people, but also they give them a small introduction about Emeralds and its wonderful world. 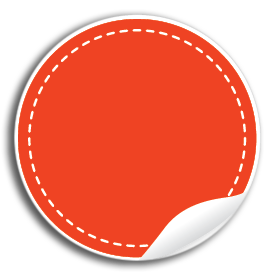 They offer this introduction with the idea that people do not feel rushed or pressured to buy. They want them to leave the building happy knowing that they learnt about Emeralds and if they decide to buy they are comfortable and happy with what they are taking home. DURATION: Flexible. Half day bird watching in Rio Blanco: An ideal place to enjoy bird watching and appreciate other species of flora and fauna is the Rio Blanco Natural Reserve. So far, 362 of endemic species of birds have been identified. 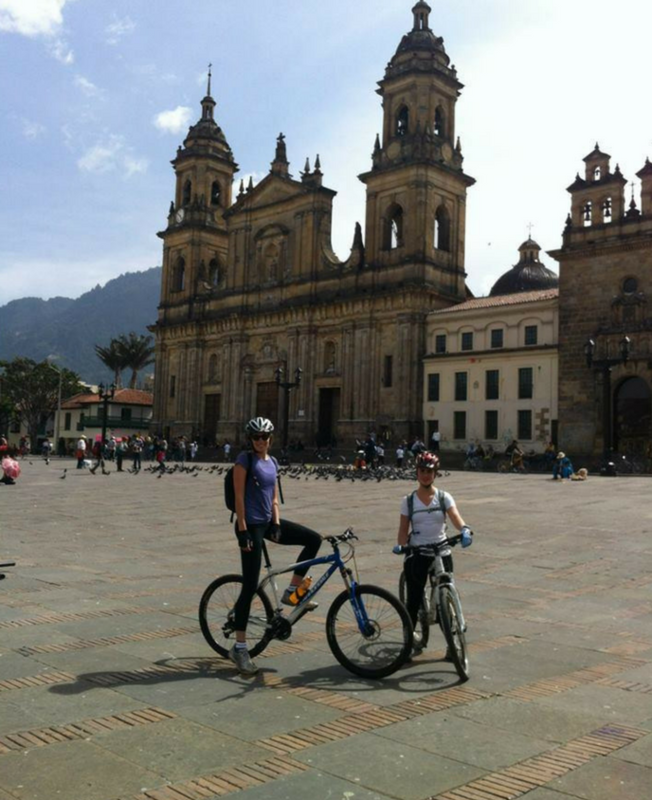 The tour is guided by an expert of the area who knows the best spots for bird watching. DURATION: Approximately 7 hours. Participate in an exclusive rum and chocolate tasting session in one of the most well-known hotels in Cartagena. The experience will give the participants the opportunity to enjoy a rum degustation and learn more about the spirit with an informative discussion of the different kinds of rums and its history. DURATION: Approximately 1 hour. 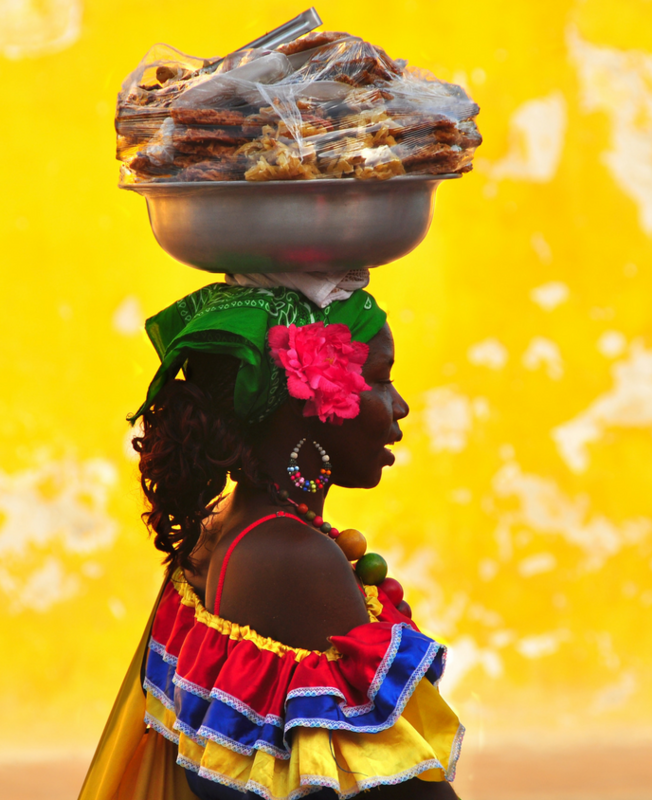 Literary Menu Gabriel Garcia Marquez: Behind the walls of Cartagena, discover centuries of history, culture and flavors stirred by the fusion of Spanish, African slaves and migrants of 19th century. Typical food inspired one of the most important writers in Colombia and literature Nobel winner prize, Gabriel García Márquez mostly known for his book One Hundred Years of Solitude. During this 4 hours walking tour visit 13 favourite places of this beloved writer. In 9 different stops, taste traditional Caribbean food referenced in literary works by “Gabo”. Listen to the stories of the people who knew him and his work, while you taste a variety traditional cuisine. End your culinary adventure in the 17th century building that was the setting for the story of impossible love of Mary Servant of All Angels and Father Cayetano Delaura. DURATION: Approximately 4 hours. Colombia Fruit tasting in Sazagua: For the fruit lovers this is a very healthy and exciting experience. Enjoy an amazing variety of typical fruit from Colombia, in the beautiful courtyard of Hotel Sazagua, in the coffee region. Colombia is known for its great variety of fruits, due to the country’s climate. During this experience try typical fruits, with strange shapes, colours and flavours that will surprise you. DURATION: Approximately 2 hours.